An online newspaper is the online version of a newspaper, either as a stand-alone publication or as the online version of a printed periodical. News Portal Script is a popular Content Management System developed as a news broadcasting portal. We offer extensive customization (design and development). 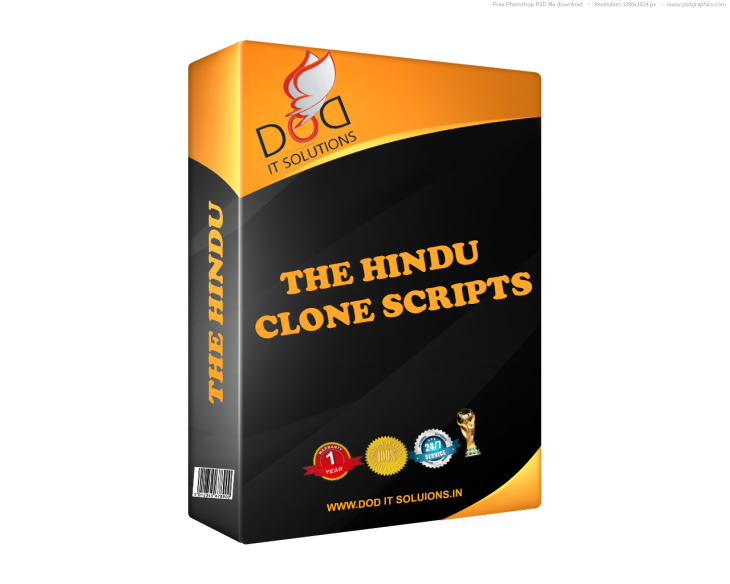 The Hindu Clone Script is the easiest, Fastest and secure Php Based script for Online Newspaper Websites. Download The Hindu Clone Php Script and start your own Online Newspaper website.